More women need to run for public office. The men seem to be having some problems these days. Or at least that’s what President Barack Obama recently said in a speech in South Africa. Well, Obama will surely be pleased at the Amherst election lineup this year with two local women tossing their skirts into the ring for the New York State Senate and Assembly. Two new faces on the political scene. A lawyer and a business owner. Articulate and smart, offering their skills and talents to work on behalf of the public. Both interested in representing the people, two great choices, Democrats, running for the first time against incumbent Republicans. Two new women against two sitting guys. Amherst is currently represented by Assembly minority member Ray Walter and long-term Senate leadership member Mike Ranzenhofer. Both career politicians, long in the tooth, and scant in record of accomplishment. Ranzenhofer is memorable for holding up closing the LLC loophole (which essentially disguises campaign donors, including his) sponsoring a law making yogurt the official New York State snack, and allowing your pet to be buried with you. Walter, a former county legislator, also earns low marks in the accomplishment department. No noticeable achievements during his Assembly tenure. Previously, undistinguished service on the County Legislature. Performance, or lack thereof, is what we are all measured by. In school, our jobs, in life. Incumbent officials running for re-election should be carefully evaluated on their accomplishments, particularly when challenged by an able opponent. That’s the race in Amherst this year. Voters are offered a clear and welcome choice for change. Two newbies against two oldies. The choice between more of the same or not. 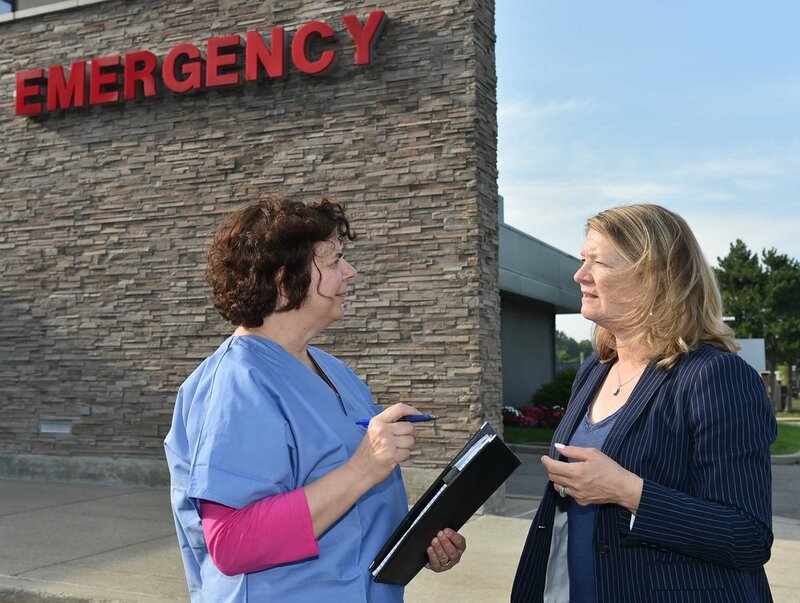 Karen McMahon in Assembly and Joan Elizabeth Seamans in State Senate. For the people. Obama would be delighted they have tossed their skirts into the ring. Me, too. Democrats in the Amherst-based 146th Assembly District on Wednesday nominated attorney Karen M. McMahon as their candidate against Republican incumbent Raymond W. Walter in November. The move ends the potential for a Democratic primary featuring Susan J. Grelick after the former Amherst supervisor said Thursday that the possibility of a Democratic takeover of the Senate prompts her to remain as counsel to Sen. Andrea Stewart-Cousins, who could become the chamber’s next majority leader. Grelick earlier this year had told supporters she was considering the race against Walter, then withdrew, was back in again, and is now out again. "Things have changed in the Senate," she said Thursday. "It would be very exciting and I hope Sen. Stewart-Cousins becomes majority leader. I want to stay with Sen. Stewart-Cousins." Now McMahon appears poised to mount a strong challenge to Walter, another attorney who won by a slim margin in his 2016 re-election bid. McMahon has worked for 30 years as a law clerk to Appellate Division judges and to the late U.S. District Judge John T. Curtin. 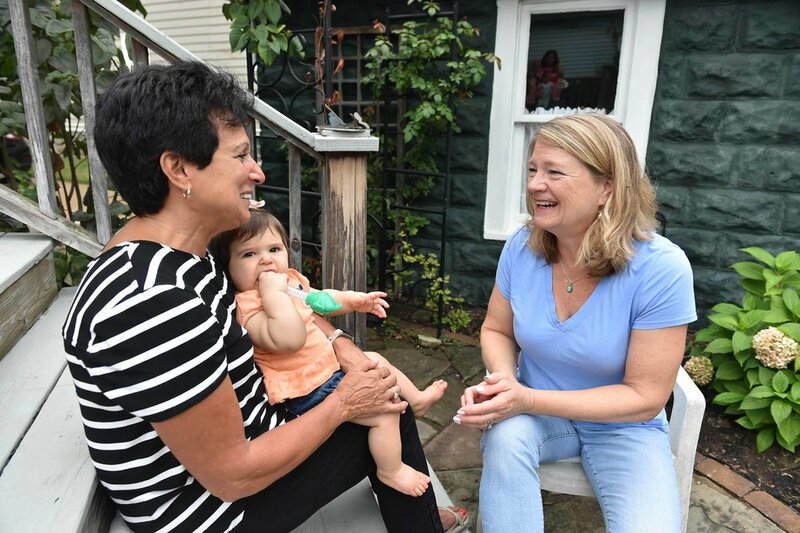 "As an attorney and as a mother of three daughters who is deeply concerned about how national political trends will affect the future of all New Yorkers, I intend to be a strong voice in Albany for this district and the people of Western New York," she said. "Whether it’s the economy, education, the environment, or the rights of women to stand as equal citizens in every way, we have a lot of work to do, and I can’t wait to get started." 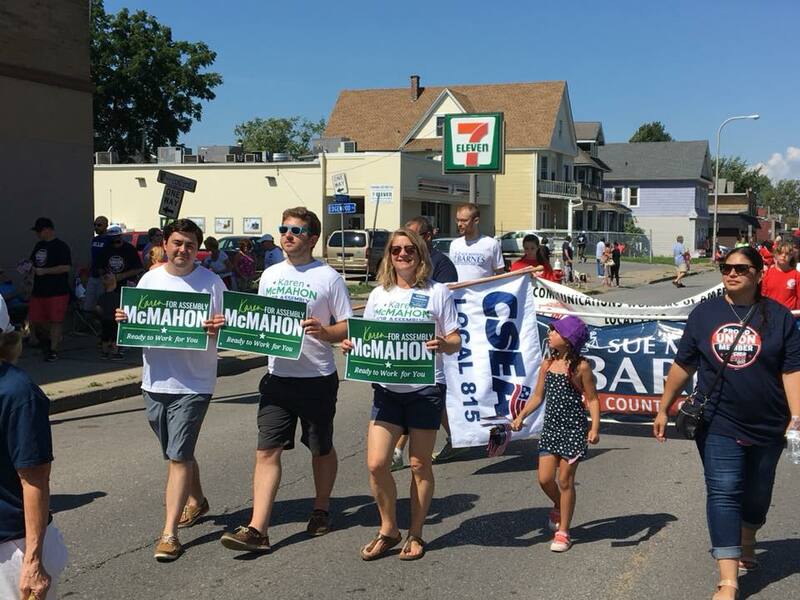 A Buffalo native and longtime Williamsville resident, McMahon earned her undergraduate and law degrees from the University at Buffalo. She and her husband, Jeff, maintain a private law practice that represents parents of children with special educational needs.